It’s happening at a pace that’s both heartbreaking and hard to keep up with. It’s painful to realize that there are so many young people in our world today who find the finality of death easier to deal with than the ebbs and flows of life. Saturday, September 22nd, 17-year-old Dustin VanLaningham ended his life. What’s most important is that young people are struggling today like never before. Of course, there has always been suicides. I’ve stated before in this blog that my first experience with teen suicide dates back to my first year out of high school. And, we won’t talk about how long ago that was. Were there less cases of teen suicides “back in the day”? Or, were the simply underreported? There was no Internet back then. There was no 24/7 instant news from around the globe. So, having gone to school in Maryland, there would be no way for me to know if another of my peers had ended his life in, say, Des Moines. That said, I still choose to believe that teen suicide was much less of an issue “back then”. Are there more teen suicides today because of the Internet? There’s been no studies done to buttress that; however, it would make perfect sense to me. See, before the days of instant, and constant, contact with the entire world, those who were being bullied at school only had to deal with it while at school. Once the last bell of the day sounded, we were free. The bullies went their own way; we went our own way. Unless the schoolyard bully was also a neighborhood bully, we didn’t have to worry about them again until the next day. And, even with that, unless they were in the same classes, we could typically figure out how to manipulate the school building, schoolyard, and our schedules to best avoid any contact with them. That’s not the case today. Today, with texting, Twitter, facebook, tumblr, and more, there’s 24/7 access to the world. That, unfortunately, includes bullies and tormentors. There’s no escape for today’s youth. They’re trapped, even at home. What if the suicide has nothing to do with bullying whatsoever, as is stated by Dustin’s father? One thing for certain: something had to push Dustin over the edge. According to his sister, Dustin felt his life was meaningless. At age 17. That’s heartbreaking! That also speaks to another culprit that is just as responsible for teen suicides as bullying: depression. And, if you combine the two, the outcome is usually nothing good. The bottom line is that we, as a society, have a generation of young people who are screaming at the top of their lungs for help. We absolutely have to figure out a way to answer their call. That sounds simple enough; however, as we’re seeing all-too-often, it’s proving to be much easier said than done. Was bullying involved in Dustin VanLaningham’s suicide? Maybe. Maybe not. Dad says no; sister say yes. We’ll never know for sure. Was it mental health issues, namely depression? Possibly. What matters is that something caused him to feel that death was easier than continuing to deal with life on life’s terms. As a result, he’s gone. His family and friends are left to forever mourn, grieve…and, wonder. Why did you post a facebook page suggesting [the suicide victim] was gay? Take is down…his parents don’t need that sh*t.
Alarmed, I rushed to reread what I had written. There was absolutely nothing in that article to suggest that he that he was gay, so I responded accordingly. It raises an important issue: far too often, people see the words “teen” and “suicide”, and there’s an automatic rush-to-judgment that said teen was a.) gay, and b.) bullied. Whereas that is an issue, and a very serious one at that, it’s obviously not always the case. Because of that rising issue, the issue of rushing to judgment, I even started that particular article off with the disclaimer that the person had not been bullied. And, I took special care to make sure that nowhere in the article would I even allude to the notion that he was an LGBT teen. Still, with all the precautions, some of the comments responded as if he were both LGBT and bullied. He was a teenager who ended his life far, far too soon, and that’s really all we need to know. At least in this particular case. I woke up this morning to an email response from the person who had initially emailed me about this. I don’t Facebook, my business is nobody else’s business. Your facebook page is misleading even if unintentional, just look at the comments. I have a son, 15, just like [the suicide victim], a jock, in fact, playing [the suicide victim’s] team tonite (probably will be cancelled). This Facebook page is hurtful to his parents and should be taken down…you are far, far removed from this event. I also believe all this glamorizing of the death…tributes, tee shirts, facebook pages, tweets (“look **** you’re famous” said one girl) will encourage the next depressed kid to go out in a blaze of glory. Now, that’s a horse of a different color. Now, I’m under attack for the integrity of the work I’m attempting to do. Look, I get the part about glamorization of teen suicides. I, too, am concerned that perhaps the Internet is helping to propel the acceleration of these events. And, make no mistake: we are seeing an acceleration. To wit, from perusing another facebook page honoring those young people who are gone too soon, I was able to see a disturbing reality: for every suicide that I write about, there’s at least one that I didn’t know about. That’s not a brush fire. That’s a firestorm. That said, and armed with that knowledge, I do my best to stay away from glamorizing a very solemn event. What’s needed is awareness. And, more of it. For far too long, these devastating events have gone unreported, and under-reported. Because of that, this has been going on in relative silence. And, because of that, no one except for the families and friends of the victims had knowledge of this problem. This is a cancer to the body of our society. Early detection saves lives. Left undetected and untreated, it kills. I wanted to contact you to say, simply, thank you. I was considering suicide tonight, but decided against it, and your blog Enough is Enough was a major reason why I didn’t. I am a 19 year old closeted bisexual male. Thank you for everything you are doing for not only the LGBT community, but for humanity as a whole. Your blog brought me to tears. Again, thank you. I owe you big time. It’s because of this email, and others like it, that I will continue pressing forward. As for the recent emails complaining about what I do, I offer this: a look at some of the comments will show you that some of his friends have read the article and left their heartfelt comments. Follow their lead. There’s a war waging in our country and, to be sure, around the world. On one side of the battlefield are people with strongly held, if misguided, religious and political beliefs that leads, both directly and indirectly, to casualties. They are the aggressors. Their rhetoric creates the environment of hate and intolerance that allows young people to feel it’s okay to be hateful, intolerant, mean, and outright (at times) violent to other young people whom they deem to be different. On the other side is a group of people, a segment of our population, who want nothing more than to be accepted simply for who they are, to be able to love whomever theirheart falls in love with, and to an equal opportunity to live their lives to the fullest extent without repudiation. That doesn’t seem to be asking for too much. Why is it so hard for people to simply tend to their own lives and allow others to live THEIR own lives? How is it that people who profess to be Christians, that is to say “followers of Christ”, can be so full of hatred and intolerance…be so bitter and spiteful? What does it say about us, as a people, that we continually elect people to “govern” us who are mean-spirited, narrow-minded, or intolerant? Why is it that NO ONE is ever held accountable for the suicide death of someone who was so severely traumatized by the hatred and intolerance, BULLIED so badly, that they felt no other way to end it than to end their very existence? How does a person even BEGIN to blame the victim for feeling such a sense of hopeless- and helplessness that (s)he felt that the only way out was to end their life? WHAT KIND OF PERSON, let alone a person of power and influence, chooses to protect the one(s) who bully as opposed to the victim(s)? I could go on and on, ad nauseum. Why? Because there are far more questions than answers. To get to the root of this issue, however, these are just some of the questions that begs to be answered. Forget about religious beliefs or politics beliefs that are steeped in religion. The fact of the matter is that people as young as 10-years-old are ending their young lives not only because they are being bullied beyond their threshold of tolerance, they are also getting the sense that no one can or will help them. In countless comments, replies, and even personal emails, I’m told, by parents or adults who survived the bullying!, of situations where the went through all the proper channels, and no one did anything about it! How is that possible? How is it possible that people, from school administrators, to religious leaders, to politicians are letting these young people die without alarm? Let me be clear: I am not referring to all Christians when I say that they, with their hatred and intolerance, have a role to play in this madness. I am fully aware that there are true Christians, that is to say true followers of Christ, who are as alarmed as anyone to see what’s going on with the bullying and teen suicides…and, in particular, the bullying and teen suicides of the LGBT youth. Incredibly, even Pat Robertson went on record just last week for saying that the bullying of LGBT youth is wrong and should stop, that Christians are supposed to be about love and acceptance, not hatred and intolerance. Wonder how many of them heard him? Rev. Pat Robertson could not have been clearer during his 700 Club’s question and answer period – bullying gay and lesbian students is wrong. Which got an “Amen” from Robertson. Before we can change the culture that’s creating the atmosphere of hatemongering, which is leading directly to the suicides of young people around the world at an unbelievable rate (and, statistically, two more teens have committed suicide just since I started writing this article), we have to change the way people think. And, to change the way people think, we must change what is taught! God is love. Period. (1John 4:8) And, NO politicians personal and/or religious beliefs are more important than human life. Period. Maybe I should just start using the wifi at home. That way, I can keep my emotions private. Reading this story brought tears. Happy tears. Sad tears. Thank the God of your understanding for today’s online social network. It’s saving lives! Across the ocean, in a place called Melksham, in the United Kingdom, sat a forlorn 16-year-old named Luke. Luke, seemingly, was ready to throw in the towel. He told the world of his plans on his tumblr account. Pills. He had already taken a handful and was prepared to take more. He wanted to die. Incredibly, according to Luke, in response to his desperate cry for help, he received lots of “hate” comments and, worse, other teens encouraging him to “go ahead and do it”. Already clearly despondent, this only served to make matters worse. Who’s raising these kids!? We just are not born with that level of hatred. It’s taught, and learned. Luckily, however, one compassionate teen was struck by the plea and took action. From over 3,000 miles and an ocean away! Fourteen-year-old Paige Dayal, from Newmarket, Canada, was deeply troubled by what she had read and was moved to action. I know from personal experience that attempting to reach out to someone in another country is cumbersome, at best. Sometimes, it’s downright maddening. Paige persisted. Running into roadblock after roadblock only strengthened her determination. “What if he’s really going to try and hurt himself” was her thought process. And, that’s the only thought process to have in a situation like this. Eventually, she was able to contact a police department near where young Luke lived. They arrived at his door in time, and the story had a happy ending. Luke was taken to the hospital and is apparently doing fine now. Once at the hospital, he pulled up his tumblr account once again, this time to “thank the girl in Canada” who potentially saved his life. According to the news release I read, Paige has never been the victim of bullying. However, like any person of compassion around the world, she realizes what going on today with the issue and how lives are being lost because of it. Knowing that teen suicide is a real issue today, she understood that she had to take action on behalf of a boy she didn’t know from a country over 3,000 miles, and a whole lot of water!, away. With the exception of the incredibly insensitive, inhumane, cruelty he received as a response to his cry for help, it appears that bullying wasn’t the issue with Luke, either. It was depression. A depression so deep that he wanted to die. A depression that his own mother and father didn’t even know was there. They know about it now. Luke is getting the help he desperately needs. And, thankfully, all medications are now kept locked away. What this shows concretely is that one person absolutely can make a difference. One person caring about another human being, whether we know them or not, whether their in our circle of friends or an ocean away, can save a life. We never know when we will run across that situation in our own lives. But, chances are, if we all pay attention closely enough, at some point we all will. Paige made a difference. Luke’s alive to thank her for it. It doesn’t get better than that. So, instead of having to be the bearer of yet another heartbreaking story of one more teen who ended their life before it had a chance to develop, I get to write another happy-ending story. I love those. On second thought, I’ll keep going to my local diner with the wifi hotspot. People need to see how real this truly is. There’s a powerful movie coming out in March called “Bully”. Since this blog pertains to that subject, and its tragic results, I’m sure many people who read this blog are already aware of its impending release. Judging by the trailer, alone, it’s a must-see movie. What I’m not sure everyone is aware of is that the MPAA, that autonomous group of people who decides what is appropriate for us to watch, has deemed “Bully” inappropriate for teens to watch without parental supervision. On the surface, this isn’t a bad thing: this is one of those movies that parents should watch with their kids so that they can have an open dialogue afterwards. The problem with the rating is that it assures that the movie will not be screened where it needs to be seen the most: in the classroom, where the worlds of the bullies and the bullied collide. The precise audience that really needs to see this won’t be able to unless their mommy or daddy takes the to see it. Why? Because, according to MPAA, “Bully” contains strong language. See, in their world, they still pretend that teens don’t hear, or USE, that kind of language. I haven’t seen the movie, yet, so I don’t know just how strong the “strong language” is. However, I would bet that it’s no stronger than anything they’re not already hearing in school. Or, in some cases, even at home, for that matter. Does that make it right? No. Does it make it reality? Yes. Here’s the issue, as I see it: this is a movie that desperately needs to be viewed in every school across this country and around the world. The classroom is the perfect “theatre” for this film, for reasons stated earlier. That’s bringing both sides together on the battlefield in an effort to end the war. That’s showing the aggressor, the bully, the consequences of his/her deeds. The impact would be potentially enormous. Forget the language! Lives are being lost. To be sure, two of the five teens featured in this movie have committed suicide already. That, alone, speaks volumes to the need for this to be viewed, universally, in the classroom. Perhaps the members of the MPAA aren’t attuned to the severity of the situation. The Weinstein Group, producers of the movie, has already met with the MPAA in an effort to convince them to reverse their decision. No dice. What will it take? More teen suicides? The suicide of a teen close to them because of bullying? I don’t know that answer. What I do know is that this problem is real. This is a problem that needs to be addressed. And, make no mistake: there are efforts worldwide to address it. Now, we need people like MPAA to stop putting up roadblocks to slow down the movement. I was trying to go to bed, actually. I had finished up what I had to do for the night and was tired. I rarely ever use my twitter. For whatever reason, last night I did decide to check it to see what was going on there. And, right before my eyes, trending at the moment was RIPMatt. Another apparent teen suicide. Suddenly, I was wide awake again. I’m reading every tweet that comes along. One after the other after another, they were wishing Matt a fond farewell. And, they were voicing their anger at yet another teen suicide from bullying. Another bullycide. So, the natural thing for me to do is to start digging for more information. I’m following links; I’m asking questions; I’m googling…anything that would shed some light on what was going on. Nothing. No news anywhere. However, I know from past experiences that that doesn’t necessarily mean anything. Often times, the actual news story comes later. There was one instance earlier in the year where my blog entry was the breaking news on a teen suicide. Finally, I gave in to my leadened eyelids and called it a night, figuring that I’d exhausted every avenue I could think of. “There’s bound to be more information about it when I wake up” was my thought process. And, there was. As it turns out, Matt is alive and well. There’s no telling how the rumor started or what made it, at one point, the 4th highest trending story on twitter. I didn’t ask. What mattered most was that another teen wasn’t lost to suicide. The page that was a RIP page when I went to bed had been converted to a community page, “Stop Bullying, End Suicide“. The creator of the page figured that since there were already a substantial number of people there, initially to “pay tribute” to someone they thought was gone, they may as well keep the page and turn it into a a community for helping. There are great people out there. So, please take time out, click that link, and “like” their page. They’re the newest members of an ever-growing army and obviously great people. Spreading news about a suicide is never a good thing unless there are facts. I don’t know how this one got started, and it doesn’t matter. However, it’s apparent that somebody, somewhere, posted something they shouldn’t have posted. And, it mushroomed around the globe quickly. People were upset. People were crying. What happens if some young person is right there at their own breaking point when they hear something like this? News of yet another bullycide could be just enough to push them over the edge. Whereas it’s a great thing that so many people, and from all over the world, are now aware of the great harm that bullying causes and its devastating effects, it’s also important to know that not every teen suicide is due to bullying. Every single tweet last night was either denouncing the bullying Matt “endured” or speaking out angrily about bullying in general. While it’s a great thing that so many people are now in tune with the dilemma and are willing to speak up about it, again it’s just as important to know that bullying isn’t always the cause. 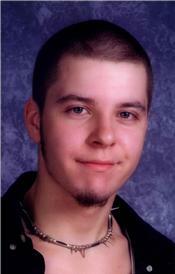 Jamie Hubley didn’t commit suicide because he was bullied, although he had been a couple times. He committed suicide because he suffered from depression. So, having the facts right is important. One guy even went as far as to name the “bully”. I must have read over 1,000 tweets last night. The vast majority of them were issuing both mandates and pleas for the bullying to stop. “No one deserves to be bullied like he was”. If nothing else I say makes sense, I want this point to be crystal clear. Talking about stopping the bullying means nothing at all without action. I’ll never know the exact number of tweets that were sent throughout the night. I can tell you that it was well into the thousands. Now, ask yourself: “what would this world be like if just the people who were part of the trending last night were to each do something, just one thing!, every single day to help prevent the bullying and end the suicides? Let your imagination run with that one for a while. Then, realize that that’s exactly the type of effort we need to combat this. The bright news is that out of the rubble of last night’s false alarm has come another, new battalion in the army that’s ever-forming in an effort to, indeed, Stop Bullying, End Suicide. Give them your support as they try to grow their group. Then, roll up your sleeves. We’ve got a lot of work to do.